Oops, my spelling is off this morning! Should have read I truly cannot wear short hair! ha ha. Must be the lazy Sunday morning. Lol. It's either one thing or another! Just looked online. 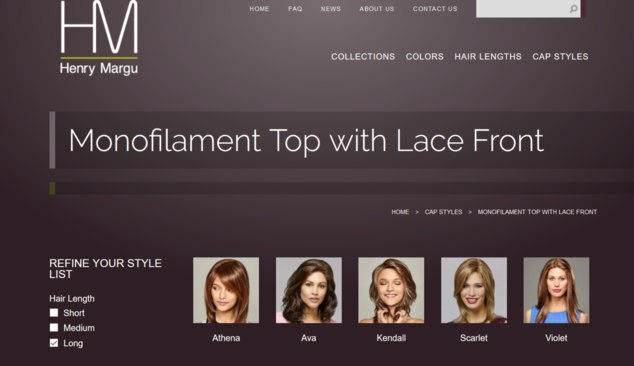 w i g s nmore in Pennsylvania have this on their website. No price though. Hi Moonlitnight, here is a photo showing JR Zara 24B22, and then HM Violet 16H. Zara is on the left, and HM on the right. These photos were taken in natural light, but not direct sun. I don't think the camera colour is showing 100% true here. Last photo is of Zara on the left and Violet on the right. I think the Zara colour is more correct in this. Thanks for all this hard work, Misty. :kiss: The Zara is definitely ashy and I like the 16H very much. My second order from JR was a 24B22 Alessandra and I sent it right back with the notation in my journal that it was "too dark/too gold." I think I was trying to match with my own hair. Do you think there is something about wigs that make the colors look so different in natural light? 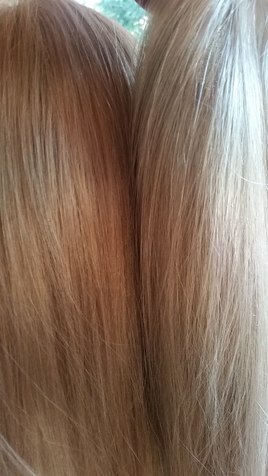 I have noticed a huge color difference in different light settings - and I don't remember feeling that way with biohair. I have looked at some of my old photos (with my own hair LOL) and sometimes my hair looked so light as to be silvery in the photos, which is wasn't. I was quite blond, not silver. 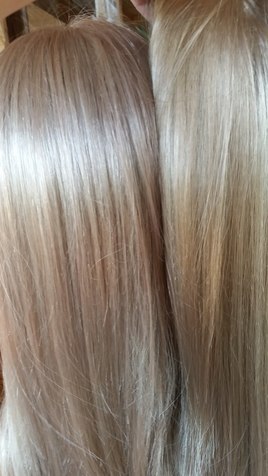 Both these wigs are synthetic, and they are blends; I wonder if the camera lense catches one colour more than the other? I recently bought a HH wig. The roots look pale ash in the photos of it, however, they were almost black IRL under artificial lighting. 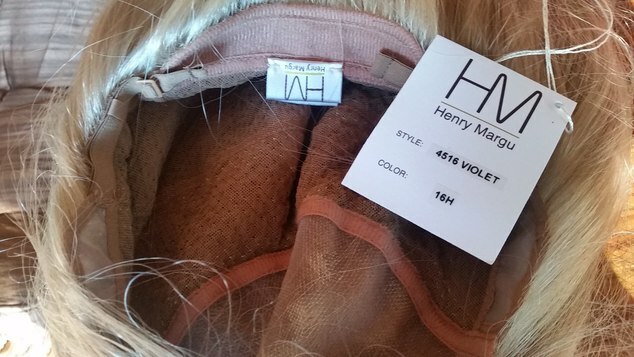 this probably means that any virtual dressing room for wigs will be limited for color choices - which i think is the biggest obstacle. Yes, that is true. Colour is the most difficult thing to show accurately. I also think that the degree of professional primping of styles on the models is getting absurd. That JR Top Wave 12" for example looks thick and gorgeous on their dark model but, in reality has half the hair and not as wavy...at least if you believe the reviews. absolutely - and you cannot show movement at all. Sometimes the professional primping is not for the good - it makes some styles look right out of the 50s- while if you shake the wig the wig looks much better. I get home this weekend to much hairmail. Other than color - i think you need to shake and brush to get any idea about how it will look. So i will likely sell some rather than return if they dont work. If color is wrong - no need to do any ither than putting it back in the box. I hope you find lots to :heart: in your hairmail!